Author: Alkaloid. Licence: All Rights Reserved. SKOPJE (Macedonia), January 25 (SeeNews) - ICC International Cannabis Corp said that it has acquired a stake in Macedonian pharmaceutical manufacturer Alkaloid, as part of its acquisition of Balkan Cannabis. "Alkaloid’s expansive GMP certified manufacturing footprint and state-of-the-art research facilities will allow International Cannabis to pursue its cannabinoid research initiatives and further refine its CBD processing competences," Eugene Beukman, CEO and director of International Cannabis said in a statement on Thursday. The interest in Alkaloid creates material synergies with International Cannabis' existing Balkan-based medical cannabis and CBD licence portfolio, as well as with its up-coming post-production, go-to-market roll out strategy, the company said. Last month, International Cannabis said that it has entered into a definitive agreement to acquire 100% in Balkan Cannabis Corp., which controls medical cannabis cultivation and extraction licences in Macedonia, as well as medical cannabis and hemp cultivation licences in Bulgaria. 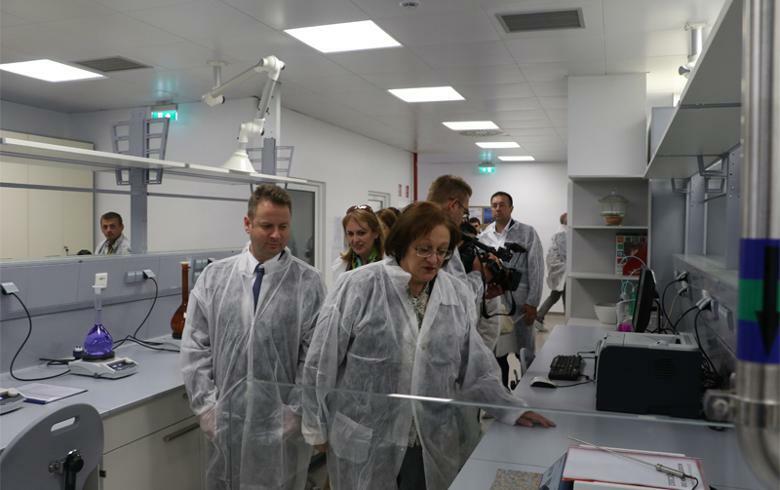 Alkaloid recently unveiled its 1,540 square meters Institute for Development and Control of Quality, following an 8 million euro investment. International Cannabis intends to use the Institute to conduct cannabinoid research and quality control testing on its Eastern European medical cannabis and CBD crops. International Cannabis is also planning to make use of Alkaloid's extensive cosmetics manufacturing and botanical material processing know-how to optimise its CBD processing capabilities. International Cannabis, through its subsidiaries, has operating assets and is developing a platform for cultivation, extraction, formulation and distribution in the United Kingdom, Denmark, Poland, Switzerland, Germany, Macedonia, Bulgaria, Greece, Italy, Portugal, Malta, Colombia, Argentina, Australia, South Africa and Lesotho. Alkaloid, which expects to book nearly 170 million euro ($193 million) in sales revenue this year, employs 1,580 people in Macedonia and 420 people in its subsidiaries outside the country. Alkaloid has two subsidiaries in Macedonia, as well as 16 subsidiaries and three representative offices abroad - in Serbia, Montenegro, Kosovo, Albania, Bosnia and Herzegovina, Croatia, Slovenia, Switzerland, Bulgaria, Turkey, Ukraine, Russia, and the US.